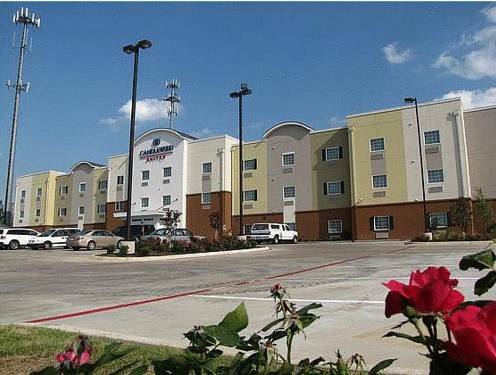 Candlewood Suites of Longview welcomes you to East Texas. Guests for extended stay or a few days relax in apartment style studio suites; create a spacious living, including satellite channels on flat screen televisions, Wi-Fi and full kitchen amenities. Candlewood Suites offers free laundry facilities and exercise area for added convenience. Our Candlewood Cupboard is always open with items for purchase; however our fresh hot coffee is always free. Within walking distance are shopping, entertainment, and dining. You can always unwind in the covered patio, and cook on our full size grills. Central located to area companies including Eastman Chemical, Good Shepherd Medical Center, Longview Regional Medical Center, Trinity Industries, Caterpillar, US Steel, Cameron, Letourneau University, Schlumberger and East Texas Regional Airport. Ask our staff about current events and entertainment around Longview. We hope you will be our guest, always welcoming you with a smile.